If your little one could give you wise advice, what do you think they would say? Maybe your kiddo would have something to say about bathtime. Maybe that something would be about saving water and letting them smell like a goat until no one can stand it anymore. Or perhaps your child's advice would focus on the week's activities. After all, why can't we all quit our jobs and go to the beach every day? If you look at it from a two-year-olds perspective, there's no reason to be filling out spreadsheets for eight hours when we could be building sandcastles. So, maybe we can't live life on the whims of our children. We'd probably end up stinky, poor, and hopped up on sugar. Still, your kiddo probably has some great ideas. They're being raised by you, after all! Maybe you'll inspire some sage advice with this adorable owl costume. They say you've got to dress for the job you want. 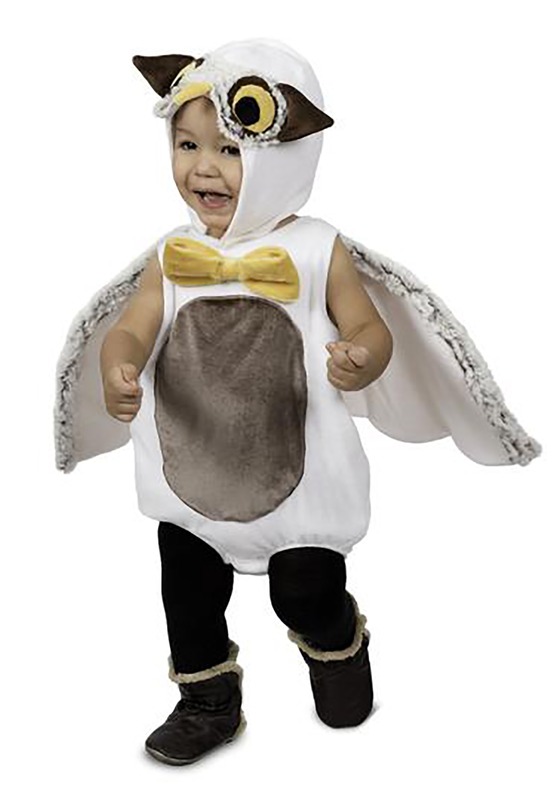 This toddler owl romper is perfectly soft and cozy for Halloween night! The romper is easy to get on, even if you have a flight risk on your hands. The crotch snaps open so changing is a breeze. The wings are attached to the onesie and trimmed with soft gray textured fabric. The hood is separate, making it easy to take off when your little bird has had enough. 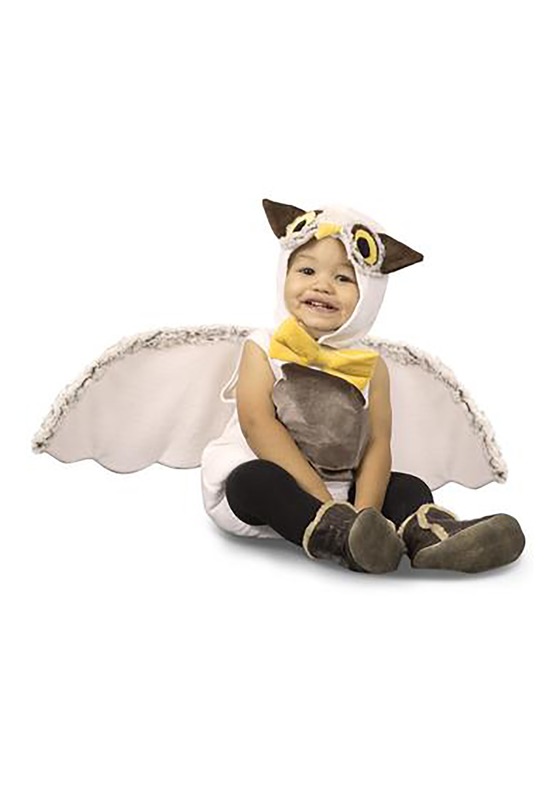 With large, plush owl eyes and a yellow bowtie, your little one is sure to be a hoot! 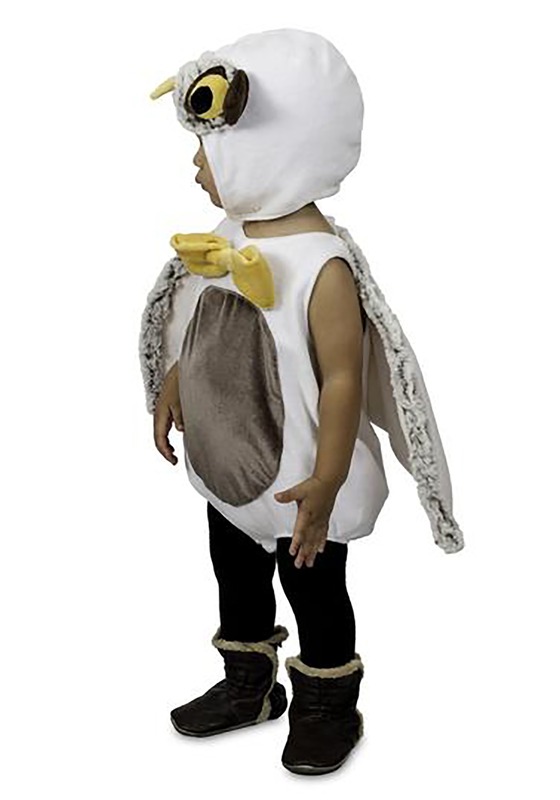 Whether you're heading out as a costumed family or you simply want to make your toddler look wise for you local library storytime, you'll love how sweet and timeless this wise owl costume is. Just remember to take pictures, you'll want to remember what turned your teeny sweetie into a wiseguy once they're thirteen!